All Bengalis love food. Any exception to this rule is a weirdo who should be looked upon with suspicion. 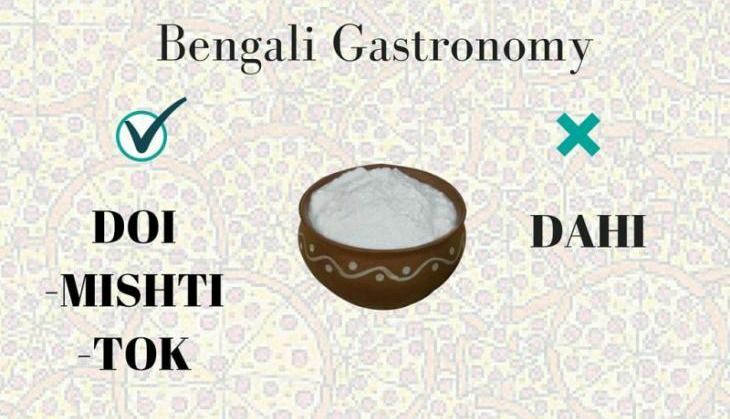 It is the mark of a good Bengali to talk about food the same way they would talk about their lover - with passion, with puppy-dog eyes, and with an all-consuming-constantly-present enthusiasm. A Bengali does not take his food lightly, and when talking to one about the staple favourites of shonar Bangla, neither must you. Here's a quick guide to those who still haven't picked up the clues from the umpteen TV shows we see on air, or Durga pujo pandals (pronounciation rhymes with sandals), or just genuine interest in good food. Cha is love. Lal cha is sacred. You can check out these fun illustrations by Calcutta Cacophony here.